Elevated between 4199 ft and 11680 ft, the Ski Resort is among the 3 highest elevated Ski Resorts in France. The vertical drop from summit to base is 7480 ft. The average difference in altitude between base and summit of Ski Resorts in France is 2848 ft. Most runs are therefore relatively long. Season starts on Dec 1 and ends on Apr 27 (147 days). Average season duration in France is 118 days. Average snow depth during the season (Dec 1 to Apr 27) is 59 " at summit elevation and 17 " at base elevation. Snow coverage is usually best during March, offering an average snow depth of 74 " at summit elevation and 22 " at the base. 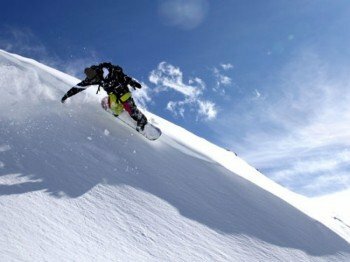 Therefore Les 2 Alpes is among the 3 ski Resorts with best snow conditions in France. Les 2 Alpes features 69 sunny days on average per season. The average for all ski Resorts in France is 66 sunny days. April is the sunniest month with an average of 16 sunny days. 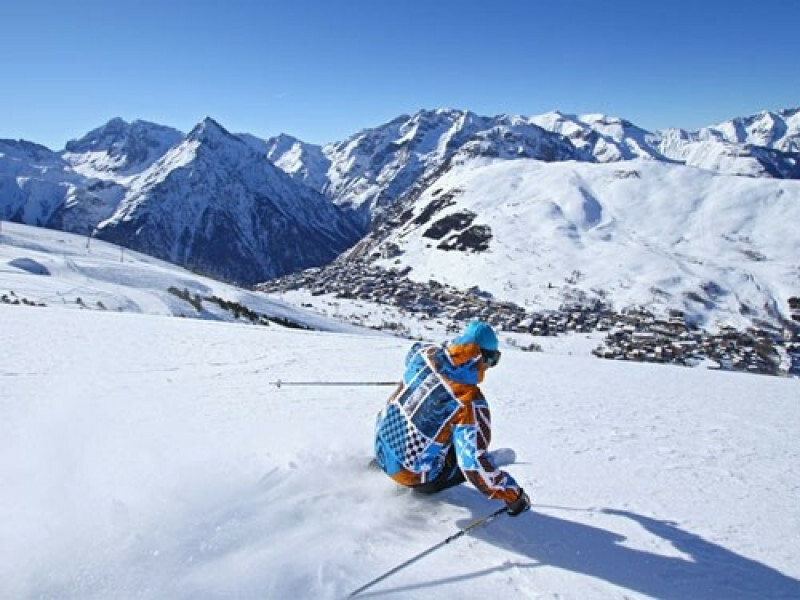 Offering 124 miles of slopes and terrain, Les 2 Alpes is among the 10 largest Ski Resorts in France. Since Les Deux Alpes is a mere one hour drive from Grenoble international airport, getting there is fairly uncomplicated for winter vacationers. It´s one of the most frequented and major ski resorts in France. It revolves around the majestic mountain La Meije (3983 m). Thanks to the drop of 3.600 meters (11811 ft), the resort invites well into the summer and doesn´t primarily focuses on the winter season. Les Deusx Alpes vast terrain seems to be endless as it stretches over nothing less than 225 kilometers (139 miles) of skiing trails by featuring runs for all levels and abilities. With ample beginner-friendly terrain in the valley or green marked trails (really easy!) throughout the ski resort you will have more than enough room to spread out and test your skills. Petites Crêtes is one of the mountains that is considered to be ideal for beginners. Once you found your ski legs you can go and check out the area of Vallèe Blanche. It is usually pretty quiet back here, and the lines are short for the blue and red slopes to practice almost by yourself. Intermediate skiers find great trails everywhere in the resort. The broad range of ski slopes ensure that there´s no time for boredom. Experts should definitively ski the black Diable runs, Bellecombe slope and Valentin run to find their personal challenges. Don´t miss out on the huge terrain park ´2 Alpes Freestyle Land´ that presents itself as big playground for young and old fresstylers. It definitively fulfills the expectations far beyond the common standards by boasting a slopestyle, boardercross, an airbag and a large superpipe apart from the usual obstacles. 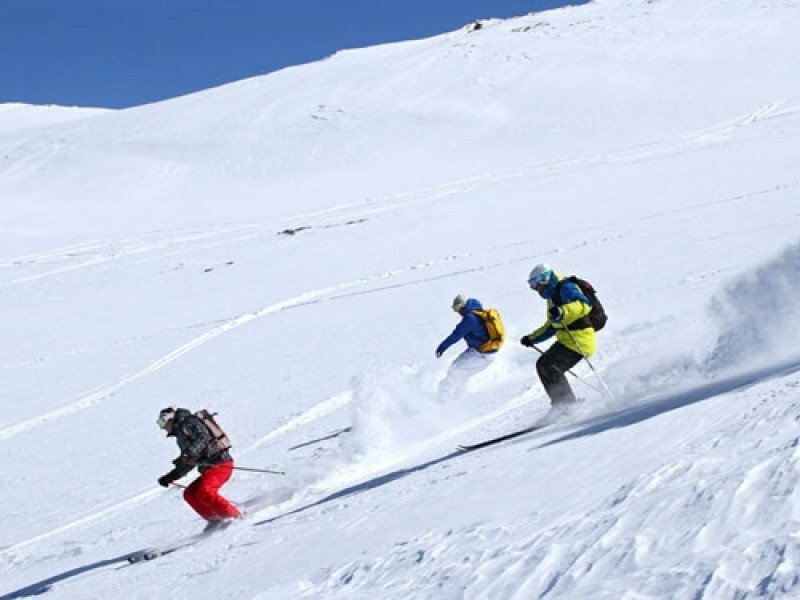 If you decide on a ski pass for longer than 6 days you are also free to access the ski resorts Alpe d’Huez, Serre Chevalier and Sestriere. Right at the slopes you´ll find like 10 mountain restaurants to spend your well-earned lunch break with a hot beverage and great food. From self-service cafeterias with typical mountain fair to comfy mountain huts, you can find everything here!Popular options are for example the Le 3200, located at Jandi Express or Mounier Ugo, where live music is always present. Warm and inviting welcomes the Chalet La Fèe for great salads and traditional food. Trails for skier on the more leisurely side are the slopes Fèe 1 and Glacier 6. Les Deux Alpes offers a great variety of non-skiing activities. In any case, go and explore the beautiful winter landscape. Here it is irrelevant whether you take the snowshoes or snowmobiles, definitely plan a day in the beautiful nature. In addition there is the chance to go paragliding and see the world in a totally new perspective. For the more relaxed, pick one of the spas like the Spa Côte Brune or Espace 1800 Fitness & Well-being Area and recharge your batteries to be back for good on the trails the next day. 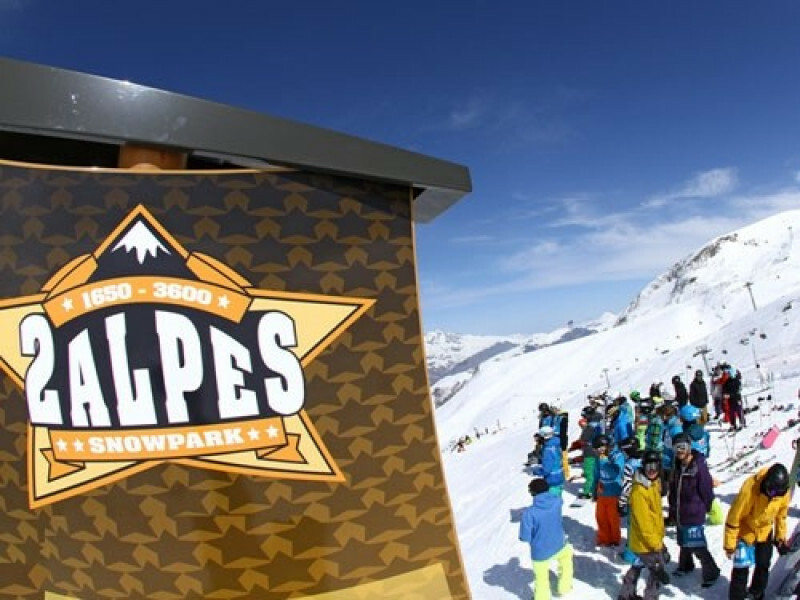 The nightlife in Les Deux Alpes starts straight ahead after closing times and offers a wide variety of bars, pubs and discos. Party people usually find an answer to everyone´s taste of their party in the Mini Bar, the Rhumiere Bar or the Freestyle Pub. The rumor of France being the gourmet heaven persists and here you´ll find plenty of great restaurants that will confirm this theory. Les Deux Alpes offers gourmet dining in many different restaurants to please every palate. Crêpes a GoGo has a menu full of Crêpes in all variations. The restauarant Tribecca convinces with sophisticated flair whereas Brasserie L’entracte gives guests classic and hearty French cuisine. You can reach France via Freiburg-Basel-Lausanne and Genf. Follow the signage in Genf for ´France´. Take A 41 to Grenoble but change to the A480 shortly before Grenoble and drive towards Biancon. Exit the freeway at Nr 8 and continue on N 85 to Vizille. N 85 later becomes N 91. Continue on the freeway with direction Briancon and make a turn at the dam of Chambon onto D 213 that takes you right to Les Deux Alpes.